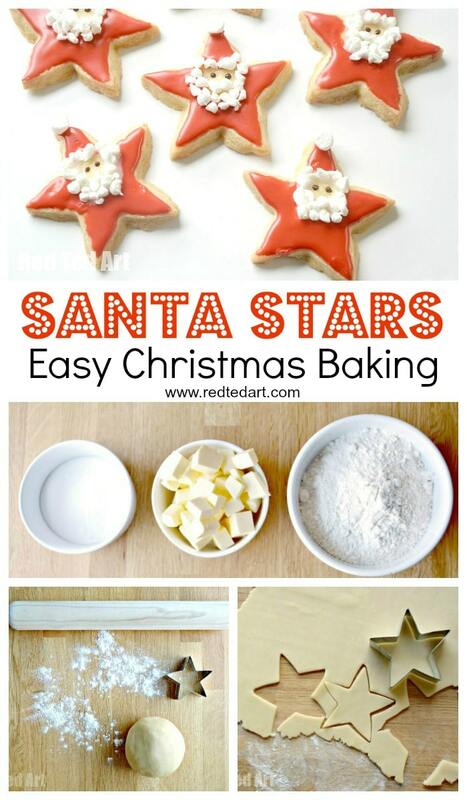 Just a super quick post to say “Hello” we are over on Party Delight’s again today – this time sharing our Santa Star Cookies. 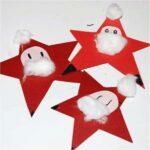 We have made lots of simple Santa Star cards in the past – they are a great “toddler craft” and regarded as a bit of a traditional santa craft in Germany. 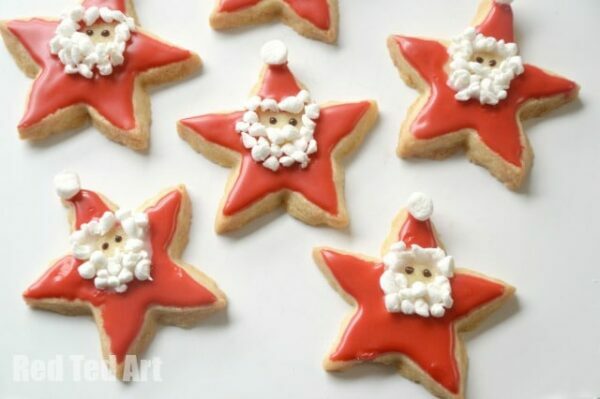 This year, I thought it would be fun to turn these cute little Santas into Cookies for Party Delights! What do you think? I avoided using any “particularly special” ingredients or professional techniques (because I am not very professional, ha), but also, because I wanted these to be “do-able”. 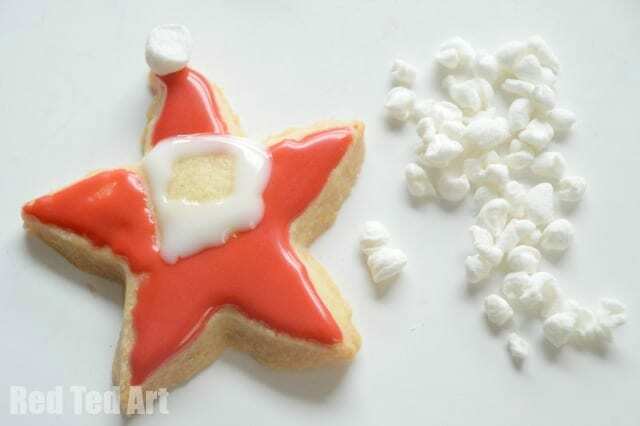 If you make a hole in your santa star you could also use them as Edible Ornaments for your Christmas Tree! 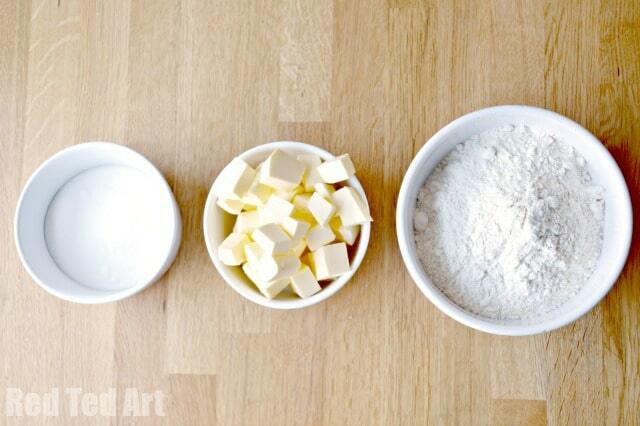 1) Mix your three ingredients together to form a smooth dough. The softer your butter, the easier this is to do. 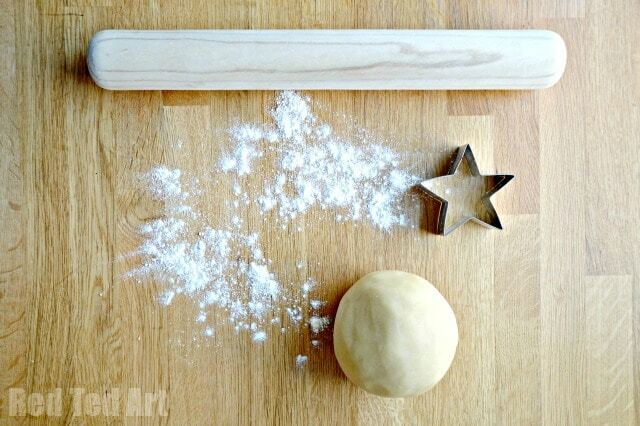 If your dough is still crumbly, add a splash of milk to make it more malleable. But you really shouldn’t need any! 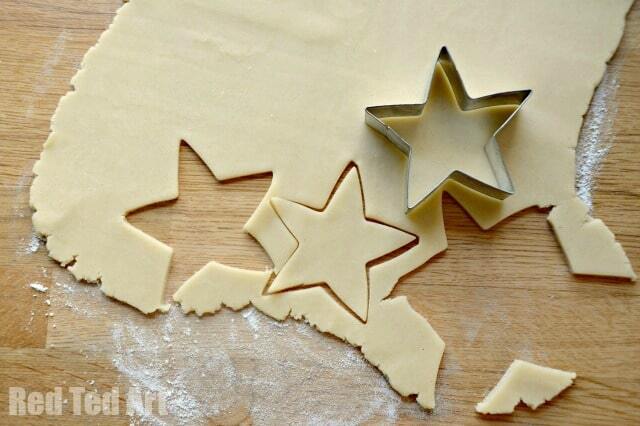 2) Roll out the dough to approximately half a centimetre and cut out your stars. 3) Bake in the oven at 180C for 10-15mins – until the edges start turning brown. 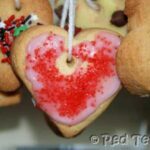 If you have made thinner cookies, they will cook quicker, so do watch them. 4) Let cool ON the tray for 4-5min THEN place them on a cookie rack. Whilst cooling they break easily! 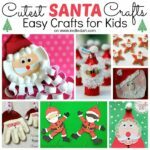 Once fully cooled, you are ready to decorate! 1) Mix some icing sugar with a little food colouring and water. Now, try and get this to be reasonably thick. 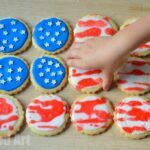 Runny icing sugar drips all over the place and will stain your cookies and fingers. 2) Take your mini marshmallows and slice the end off – that will be the hat’s pom pom. Take the rest of the marshmallow and cut it up into tiny pieces (about 6-8). You will need two lots of mini marshmallows per beard. 3) Carefully apply red icing sugar with a knife as per the picture. 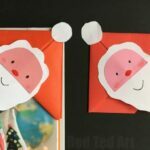 Leave a small area free as Santa’s face. Add your pom pom marshmallow to the hat. 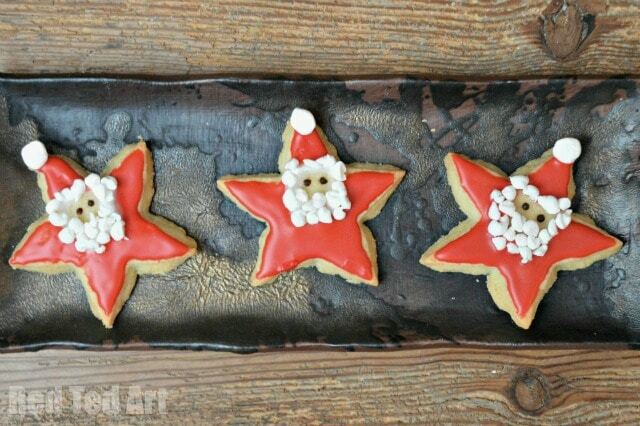 I experimented a little on your behalf and made some Santas with red icing sugar only. It does work, but occassionally you end up with bit of a red beard. So the two step process of red icing and then white icing is better! 4) Let the red icing dry a little. Then make a batch of white icing (i.e. icing sugar with just water). Add a rim around the hand and for the beard. Now use your cut up marshmallow to make a furry hat trim and beard. 5) Melt a little chocolate and use a tooth pick to pop on some eyes. 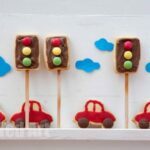 You can use icing gels if you like but I find them fiddlier! 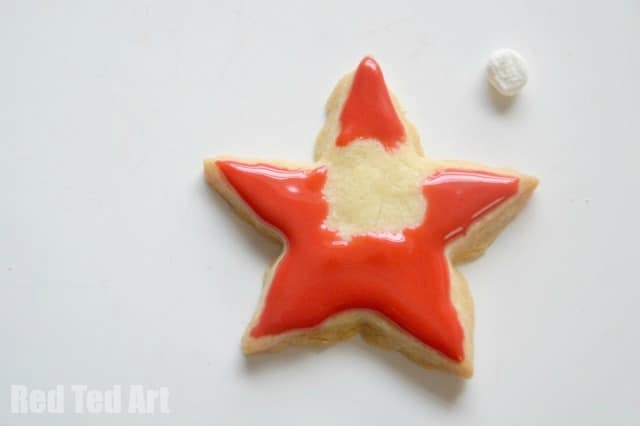 Let them dry fully and your Santa star cookies are done! 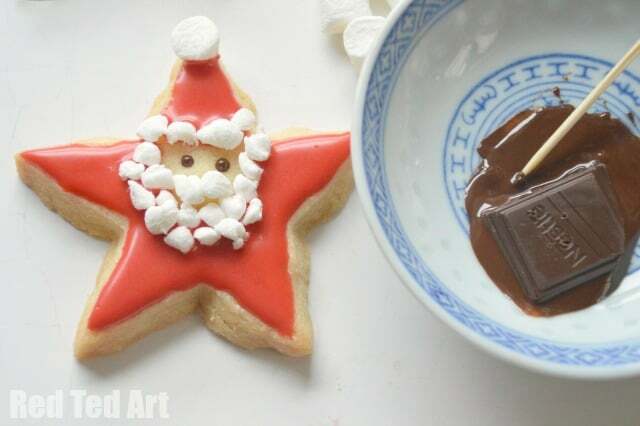 These would look lovely as part of a selection of Christmas cookies. 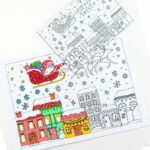 And check our our Santa Star Cards for Toddlers too! Red Ted, turned them into Elves and Rudolphs too! If I look up the difference between grams and cups will the recipe turn out correctly? I’m use to different measurements . Yes, I think if you stick to the conversion charts you should be fine! 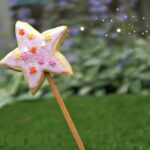 Maggy, Thank you so much for submitting this adorable treat to my roundup request. It is being featured in my latest post. Oh how lovely! Will pin!